Halloween was a success! Yippee! 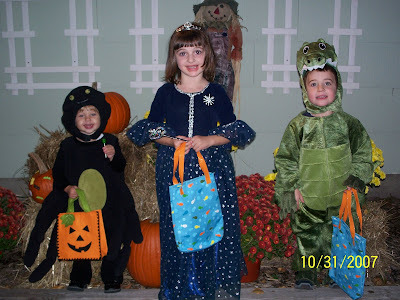 Zoe was excited and enjoyed trick or treating... thanks in part to her cousins coming to go out with her. 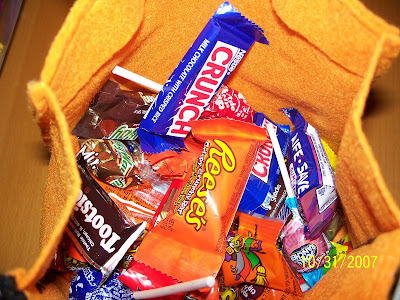 It also helped that this year she actually likes candy. All dressed up and ready to go. 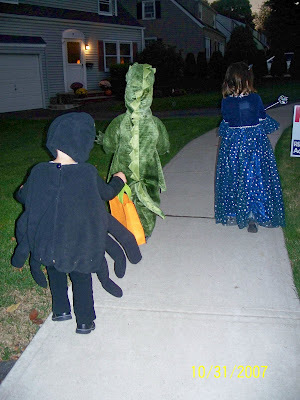 Zoe is a spider, Larisa is a fairy princess, and Alex is a dragon (who roared at EVERY house!). 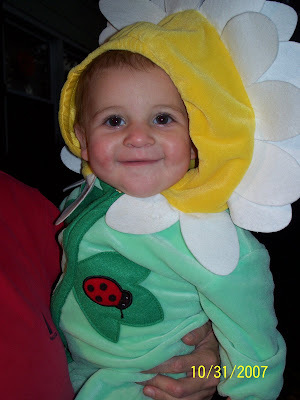 Nina was the cutest sunflower around. Last year we only made it to 3 houses before Zoe was done. This year we made it up and down 2 streets... I'd say about 20 houses. Zoe was very excited every time someone dropped a goodie into her bag. She probably got out a "TRICK OR TREAT!" at half of the houses... but as we walked away from each door she would yell a huge "THANK YOU!!!" 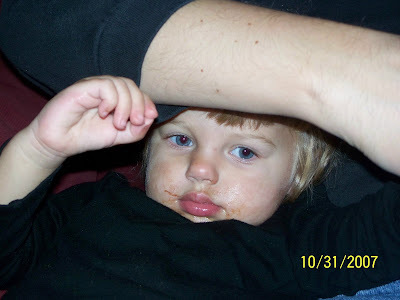 After Zoe was done munching on a few pieces of candy she was quite yummy to give smooches to. 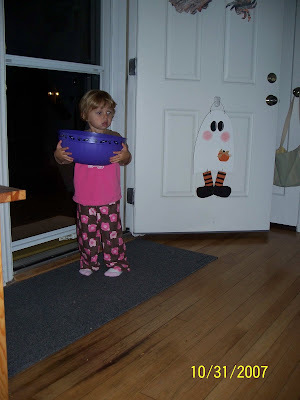 Zoe seemed to like handing out candy almost as much as being given candy. She was thrilled to help answer the door and greet trick or treaters. They couldn't come fast enough... and a few times she stood by the door just watching and waiting. 104 trick or treaters later (yes 104... one hundred and four!) we turned out our lights and shut the door. Zoe went to bed and was asleep in record time. I guess the exhaustion won out over the sugar. 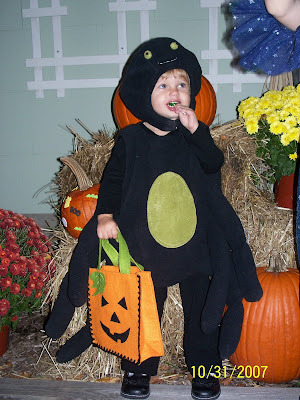 I wonder what we should dress Zoe up as next year?